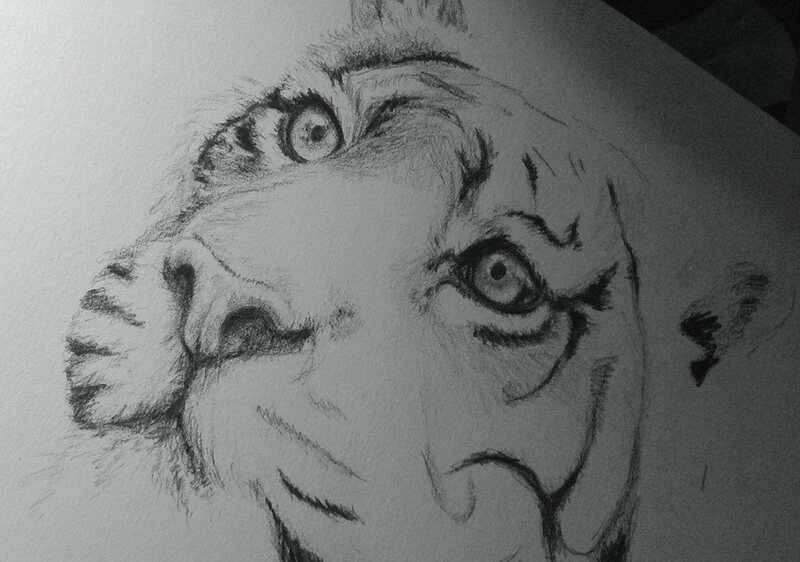 The pencils are out at last and there’s a tiger taking form in my home! Beautiful! His eyes are very expressive. Stunning! It inspires me to get my pencils out too:) Good luck with the rest of the drawing, can’t wait to see the end result….